After a day spent exploring Cornwall’s craggy coastline from Lizard Point to Land’s End via Kynance Cove and The Minack Theatre we arrived at our final destination, a Cornish castle in St Ives, feeling wind-blasted and hungry. We’d got just a day and a half to explore the pretty Cornish harbour town before heading back to Sussex; a cheeky add-on to our trip to Truro for a family wedding and my very first taste of Cornwall. 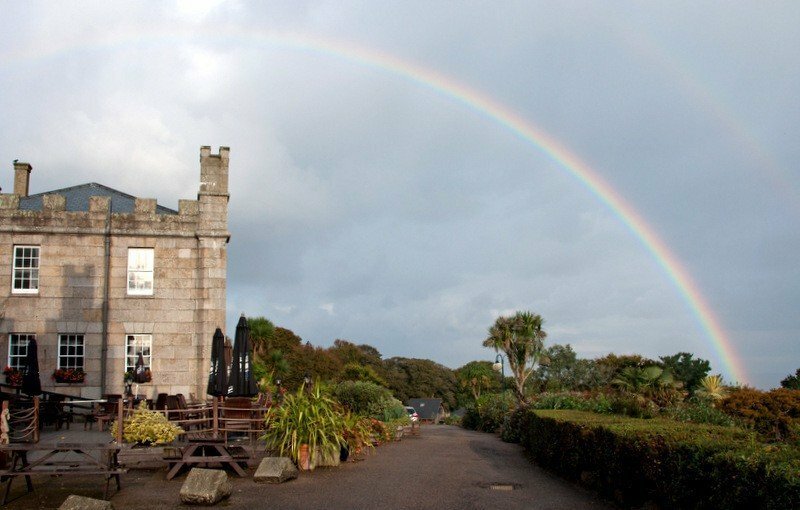 Our base was Tregenna Castle Resort set high on a hill with stunning views over the tiny fishing harbour of St Ives. The grade II listed building is imposing with its castellated roof, turrets and granite walls but the welcome we got as we checked-in couldn’t have been warmer. And when we got to our room – what a view! Our windows looked out over the grounds to a panoramic view of St Ives and the bay – I couldn’t wait to get out and explore. 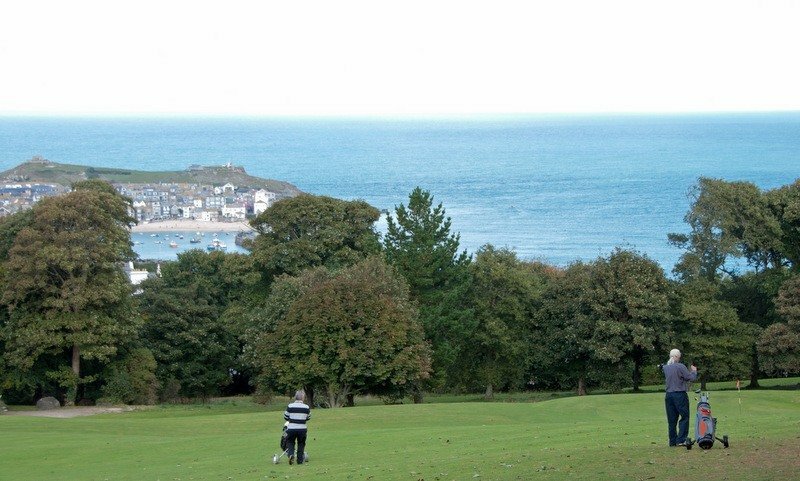 Although the hotel has fabulous views from high up and St Ives looks quite a distance away there’s a shortcut through the grounds to either Porthminster Beach or via the road straight into St Ives. The walk into town took about 17 minutes – although we are fast walkers and we were hungry! We filled up on fish and chips and a beer in The Firehouse before heading back to the hotel. It’s uphill on the return walk so we took a taxi for just £5. A combination of all the fresh air we’d had that day and a big comfortable bed meant we slept soundly until the sound of distant gulls and sunshine streaming through the windows woke us. 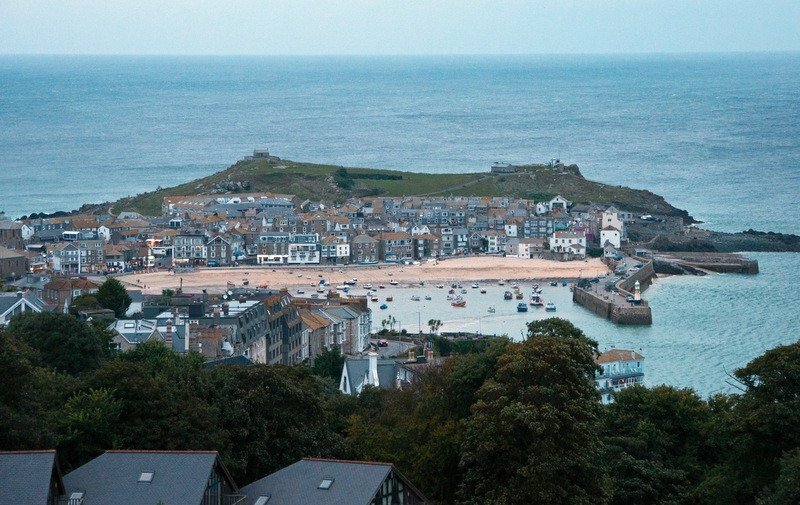 It helps that St Ives benefits from the passing Gulf Stream meaning that the climate is mild and the winters warm. We were there in early October and it felt just like summer. 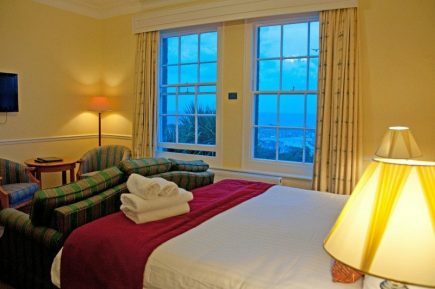 There are a variety of rooms at Tregenna Castle and we stayed in a large West Wing Sea View room with views over The Atlantic Ocean and pretty St Ives. There was a sofa and two armchairs and small table as well as a desk with tea and coffee-making facilities and heaps of cupboard space. The en-suite bathroom was a little tired but it had a large bathtub, in-bath shower and complementary toiletries. After a good English breakfast we had wander around – there’s a lot to see in the 72 acres of grounds and sub-tropical gardens and even more to do. 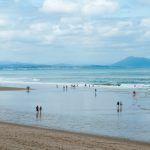 Tregenna’s the perfect place for families or couples looking for a UK break with lots of activities thrown in as well as seaside charm, coastal walks and a vibrant art scene all on the doorstep. 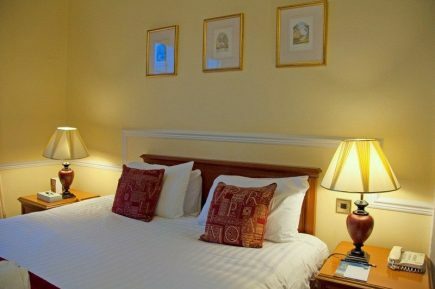 The hotel is surrounded by an 18 hole par 3 golf course with views over St Ives and out to Godrevy Lighthouse. There’s also a putting green to improve your short game and the 19th hole takes you to the hotel’s Bar and Brasserie. Equipment can be hired from the golf shop and a round costs £15 per person on a pay and play basis. If we’d had one more day we’d have brought our clubs along and played a round. If golf’s not your thing there are plenty of other activities to enjoy; two heated pools – one outdoor open in summer and an indoor pool both with shallow children’s’ pools. If you like racquet sports, which we do, you’ll be kept busy on one of three outdoor tennis courts, a squash and badminton court. All racquets can be hired from the hotel. There’s a fitness suite with cardio equipment, weights and resistance equipment. Too energetic for you? You could take up your mallet and play croquet on the lawns or head for the nature trail and explore the woodland walk but if that sounds too much like hard work there’s always the spa. As soon as I entered the spa a wonderfully fragrant spa smell enveloped me and I know that pamper heaven awaited. I’d chosen an hour-long aromatherapy massage and I unwound so much that I think I might have dropped off to sleep. Oops. It was a wonderfully relaxing and gentle massage – no painful kneading of knotty muscles – and I left feeling pampered and nicely chilled. There’s steam room, sauna, hot-tub, hair salon and nail-bar with a whole range of facial and body treatments to choose from. 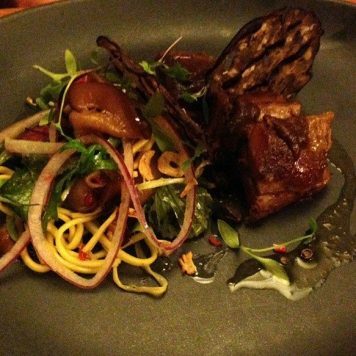 There’s a bar, lounge and two restaurants at Tregenna; the main restaurant and The Brasserie which is less formal. 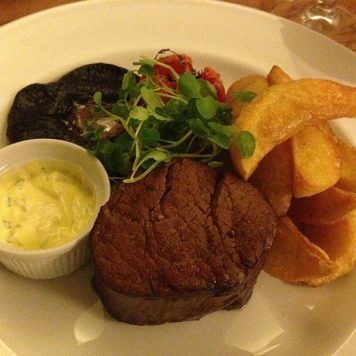 Both serve the best of Cornish locally sourced produce and the meal we had in The Brasserie was excellent. 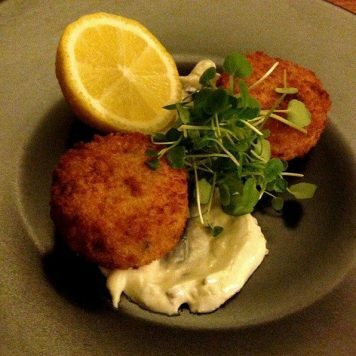 For a starter I had St Ives Bay Fishcake made with freshly caught fish and garnished with herbs from Tregenna’s own herb garden. Mister chose the Satay Pork Salad. Both were excellent and I have to admit to a large portion of menu envy when Mister’s Satay arrived. 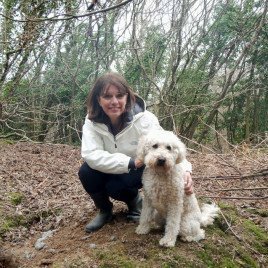 We both ordered Roasted Cornish Beef Fillet for the main course and agreed it was best we’d eaten in a long, long time – cooked just as we asked and melt-in-the-mouth tender. It was served with Portobello mushroom, confit tomato and béarnaise sauce. Did I mention the delicious triple cooked chips? Naughty but so nice. We chose Morande Pionero a Chillean Merlot from Tregenna’s wine cellar which complemented the food perfectly. The dessert menu was mouth-watering but by this time we were full – which was a shame because for three-courses at £22.95 the dining is excellent and the value for money outstanding. 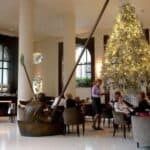 The staff in the restaurant and throughout the hotel were extremely helpful and genuinely friendly – the service was excellent. 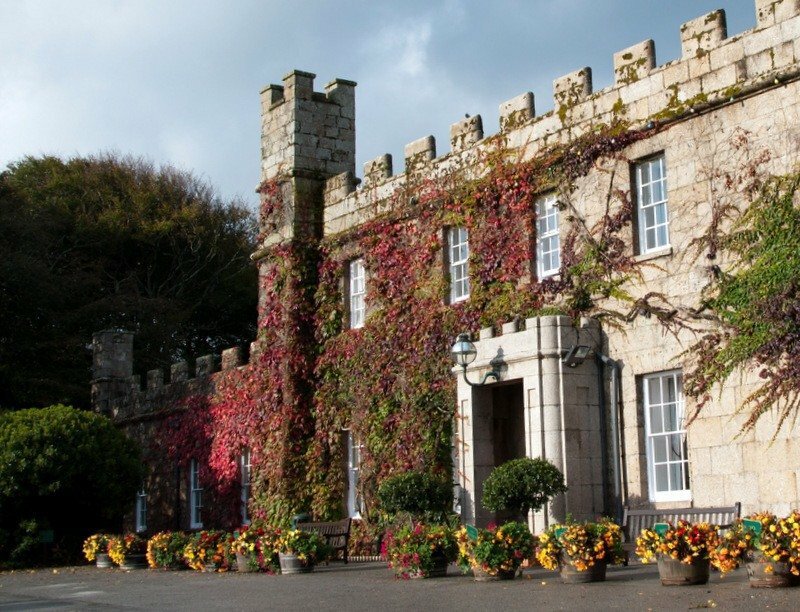 I’d definitely return to Tregenna Castle Resort – it’s the perfect base to explore the area and the west coast of Cornwall but also has so much to do on-site – especially if you’re into tennis and golf like I am. For a family break there’s something to keep everyone happy whatever their age. 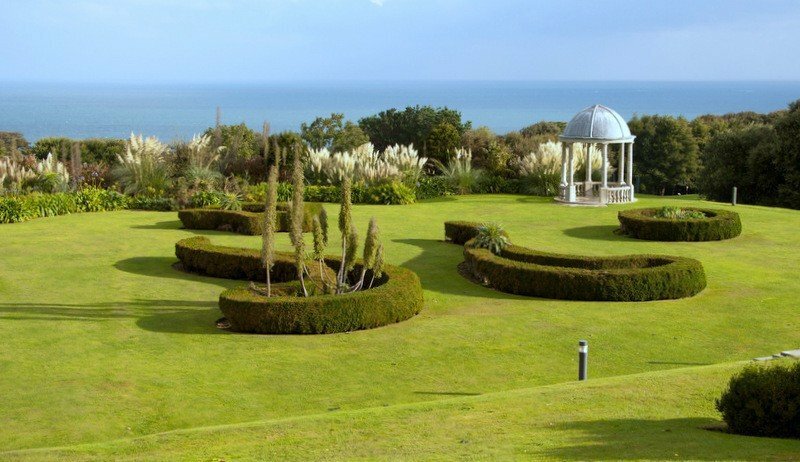 Self-catering is also an option at Tregenna with eight Japanese pole lodges and a variety of apartments, cottages and coach houses all within the grounds and all with access to the hotel facilities. 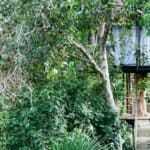 Rates vary according to time of year and type of accommodation. Latest offers include 2 night and Christmas breaks. 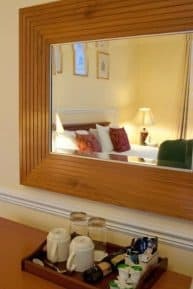 Many thanks to Tregenna Castle Resort for hosting me during my stay in St Ives – all opinions are, however, completely my own. St Ives!!!! One of the best UK holidays I ever had. Just magical. Now many years ago. We stayed on a little lovely B&B along the narrow street right in the middle. What a review you have created here …. 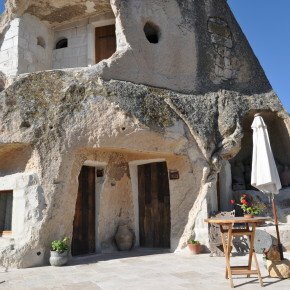 wouldn’t mind check-in here for a long weekend and hopefully it will be a bit naughty too. With your passion for golf and tennis … and a good view never hurts, does it ??!!! Seems worth a stay for that spectacular view alone! It all sounds perfect and I’m very envious of that view. The view was lovely – I couldn’t keep away from the window! That view kept drawing me back – took so many photos of it! Well I do love my tennis and golf and I’m a sucker for a good view! It does look lovely and breathtaking views!